From 28 January to 1 February 2013, The New Zealand Dance Company is hosting an international exchange with Chicago-based physical theatre company Lucky Plush Productions, known for its witty commentary on contemporary culture and artful integration of dance, theatre and visual design. The weeklong workshops will be held at the Unitec Dance Studios in Mt. Albert, Auckland. Check out www.nzdc.org.nz/node/opportunities/ to download the flyer and registration form. 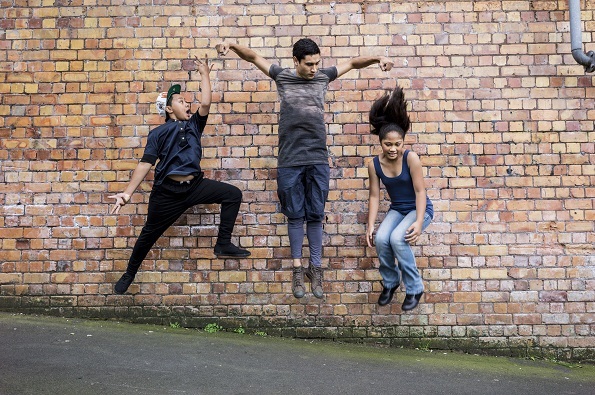 NZDC is also seeking expressions of interest from graduate choreographers who can do workshop choreography on The New Zealand Dance Company’s Youth Engagement Programme dancers, plus any experienced senior and mid-career choreographers interested in making work on the company between 2013 and 2015. For more information about what is required visit www.nzdc.org.nz/node/opportunities/. Aucklanders will be able to learn some dance moves for free at the Unwrapping Christmas festival held in Aotea Square this month. Bandstand under the Stars gives locals the chance to get dressed up, put their dancing shoes on and learn salsa, bollywood, swing, Celtic ceilidh and ballroom – all under the stars! For more information, visit www.the-edge.co.nz. The Dance and Physical Theatre Trust is seeking to appoint a Project Coordinator to join the team in Christchurch in 2013. This full-time role splits into three main areas of work, covering The Body Festival, Schools Projects and The South Island Dance Network. Usual office hours are 9 a.m. – 5 p.m. Monday to Friday, though evening and weekend work will be required in the lead up to and during events. To apply for this position, email a letter of application along with a comprehensive CV to Artistic Director Adam Hayward at adam@thebody.co.nz by December 20, 2012. After 18 months of preparation, The Royal New Zealand Ballet’s TelstraClear Season of Giselle opened to a rapturous reception in November, and is now touring nationally. Giselle is being made into a feature film, directed by award-winning New Zealand director Toa Fraser and produced by Matthew Metcalfe, with the support of the New Zealand Film Commission. 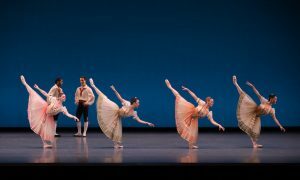 Although some footage will be captured at performances, the dancers will be returning to Wellington at the conclusion of the Giselle tour for extra filming at the St. James Theatre. 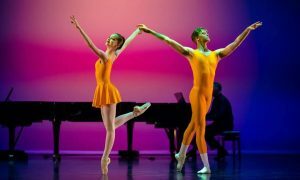 The company will have two weeks off for Christmas, and then it’s back to work on January 3, 2013 to start rehearsals for Made to Move, three brand new ballets created by Javier de Frutos, Andrew Simmonds and Ethan Stiefel. Malia Johnston had been appointed to the position of Director of Footnote Dance in July 2012. She was to transition into the role until the end of April 2013, before Deirdre Tarrant handed over the reins fully, following the Forte Season of a new work by Lisa Densem. Unfortunately, for personal reasons Johnston is now unable to take on the role of director. Footnote will continue with its planned programme for the New Year under Deirdre’s direction. In the meantime, the board will be looking at options for the best way forward for Footnote.